Kyla Grasso joined the AltaRock Energy team as a Geologist in June, 2012, and since then has been actively involved with field work at the Newberry EGS project site. Kyla holds a B.S. in Environmental Science from the University of Maine and a B.S. in Geology from Oregon State University. Her undergraduate thesis work involved characterizing the fault system at Newberry Volcano, and when AltaRock offered her a field position working on the Newberry EGS site, she was thrilled. “The opportunity to continue working on active research at Newberry was really exciting,” she said of accepting her current position with AltaRock. Kyla has been involved with most aspects of field work at the Newberry EGS Demonstration site. Her first task with AltaRock was to oversee the drilling of the MSA boreholes and help with installing the microseismic array equipment. During the stimulation, Kyla was involved with seismic monitoring and reporting, equipment maintenance and daily site activities. Her continued involvement in groundwater monitoring at the project site means she’s spent the winter months snowshoeing and collecting water samples for analysis. Kyla says she’s enjoyed the ups and downs of seeing things coming together at Newberry, and is looking forward to another field season in 2013. 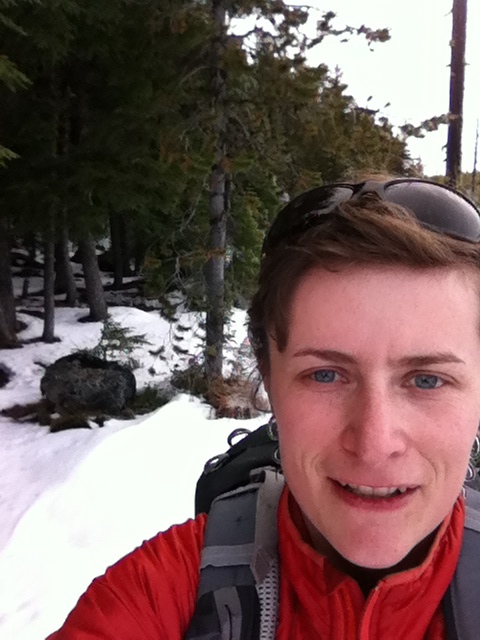 Kyla’s interests include road biking, hiking with her dog, wilderness rescue and trail running.